Thoughtfully penned on June 29th, 2007 and generally concerning Family, Goals, House, Summer Fun, Us, You're moving again? Matt has worked in the University of Tennessee system since he completed his Master’s degree four years ago. A few months ago he decided that he liked the idea of leaving academia for the private sector, and we embarked on a season of prayer and conversation about his job. The first weekend in June, Matt spent a copious amount of time preparing his resume and Pushcart Labs, his web portfolio. His hard work paid off when he submitted a resume the following Tuesday and received an e-mail reply within hours. On Wednesday morning he spoke with the CEO of the company, on Wednesday afternoon he spoke with the person he will be working alongside, and by Wednesday evening he had an interview scheduled for Wednesday the 20th. This job opportunity was one reason our trip last week was a bit hectic. We headed to Nashville on Tuesday afternoon, Matt interviewed for the position on Wednesday afternoon, and Thursday afternoon he was offered and accepted the job over the phone as we drove to his parents’ house in Georgia. We spent time Friday, Saturday, and Sunday – around wedding preparations, family time, rehearsal dinner, wedding, etc – doing online research on places to live; Nashville is my hometown, so it made things a bit easier in that we knew the areas where we wanted to focus our search. We are planning to rent for a couple of years; I’m sure finding an apartment is much easier than trying to find and buy a house long distance and on short notice. Early Monday morning we left Georgia headed back to Nashville hoping to find a place we liked that would be available in the time frame we needed. Through God’s provision, the second complex on our list had three bedroom apartments available when we need to move. Our unit has close to the same square footage as our current house, an open floor plan in the kitchen/living room/family room/dining room, a large balcony, and a big master bath (something we’ve not had before). The complex has multiple pools, including an indoor pool that is open year round, and other nice amenities. We feel very blessed to have found a place so quickly, and that, so far anyway, things have gone smoothly. The next task, when we returned home, was finding a realtor and getting our house on the market. Matt was able to get in touch with someone Tuesday afternoon, we met with her last night, and our listing should go up today. We are hopeful that we will sell quickly as we are in a great school district and our house lists for under $150,000, both of which are a bit difficult to come by in our area. The realtor seemed confidant that we should sell with no problem (but she’s paid to say that, isn’t she? ); she said that though the market as a whole is pretty bad right now the market for “first-time” homes is still moving well. Whatever happens, we know that God is sovereign over all and trust that He knows how everything will turn out in the end. We have been, and continue to be, prayerful through the process and are trying to be intentional toward making this about God’s righteousness and glory, not about our wants. It will be nice to move close to family, it will be nice for Matt to be in a job doing something for which he has a passion, it will be nice to see what happens in our lives as a result of this change; but if God is not glorified through us and through this, what have we really accomplished? So, did you even know I was gone? Last Tuesday Matt, Little, and I left town headed to Matt’s parents’ house; we were gone for seven days (returned home Tuesday afternoon). It is so nice to be home and back in our beds and back in our routine; I’ve finally recovered enough to get back to this thing known as a blog. We took this little ten hour trip in order to attend the wedding of Matt’s younger brother. The wedding was Saturday night, but Matt had a job interview on Wednesday (more on that in another post) so we headed out a few days early. Little travelled very well. We drove three hours Tuesday afternoon, and she was fine. Thursday morning, we got up early and headed south. She played in her carseat, slept a lot, and ate some snacks. We made the 6-7 hour trip only making one stop; I thought that was great for travelling with a 10 month old. She was not thrilled about getting back into her seat after the stop, but she eventually went back to sleep. We broke the trip up the same way coming home (6-7 hours first day, 3 hours next day), and although she didn’t do quite as well as going, she still did better than I expected. We stayed with Matt’s parents, so Little was surrounded by grandparents, aunts and uncles, great grandparents, and various other extended family members for several days. She really enjoyed playing with her Auntie Lu and cousin Bubbie and spending lots of time with her Nana and Pops. It was fun being with everyone since Christmas was the last time we were there. But, back to the wedding. In order to have a candlelight ceremony, the wedding was scheduled for eight o’clock Saturday night. We were a bit concerned about the little ones, as that is right around bedtime, but they both did fine – fortunately, the ceremony was only about 30 minutes long. The church was decorated with lots of candles and red roses. The ceremony was performed by a friend of both the bride and groom, so it was very sweet and personal. The bride was beautiful (she’s a very pretty girl anyway) dolled up in her wedding gown with long train and veil. She really looked like a princess. Following the ceremony, they had a dessert reception with about 15 kinds of cakes, pies, and other desserts in addition to the wedding cake and groom’s cake. In fact, with all of the other goodies the wedding cake was kind of ignored after the cake cutting (it was on a separate table in a different part of the room). I overheard someone in line refer to the dessert table as “the table of sin.” I prefer to not think about how many calories were represented. Anyway, the wedding was beautiful, the visit with family was great (even if it was a bit hectic), and the road trip was, well, it was a road trip with a baby. We are glad to be home, but have lots to do over the next few weeks (more on that in another post)! July 4th giveaways & the “must-have” summer sling! Oh my, the ladies at 5 Minutes for Mom are having a dozen, yep, that’s what I said, a DOZEN giveaways in celebration of our country’s independence! The prizes look great: a Krups ice cream maker, a custom Land’s End swimsuit, Momager calling cards, a weekend for you me and a friend at Motherhood Redefined, a MetroWrap, and a “Living the Dream” t-shirt of your my choice. Plus, several more to come over the next few days! Click here or on the banner above (or in the sidebar) to join in the festivities. Thanks to Janice and Susan for hosting such a great series of giveaways! In other giveaway news, Adventures in Babywearing is giving away another great sling! Steph has deemed the Solarveil ring sling from KimzKreations the must-have sling of the summer. Click here to check it out. 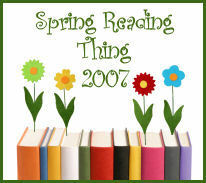 As Spring winds to a close, so does the Spring Reading Thing that Katrina has been hosting at Callapidder Days. The challenge has been good and bad, but overall I’ve enjoyed reading with some goals in mind. My original reading list can be found here. Reviews of Confessions of a Shopaholic and The Double Bind are here. And an update from approximately half-way through the challenge can be found here. I did well on the fiction portion of my list making it through Confessions of a Shopaholic, The Double Bind, The Yada Yada Prayer Group, and Peace Like a River with no problem. I am currently reading Sense and Sensibility and expect to have it finished by the first of next week. Over the course of the last three months I picked up several additional fiction books that I completed as well. I have done short reviews/recaps of all the books in a separate post. On the non-fiction portion of my list, I didn’t do so well. I have realized a couple of reasons that I have a harder time reading fiction, though. As I mentioned in my earlier update I like to read at bedtime, and, for me, non-fiction doesn’t lend itself to bedtime reading. I don’t want to read anything while I’m winding down that requires a lot of effort to read for comprehension or that makes me think (as thinking tends to impede sleeping). Also, I like to read quickly and I can’t read both for comprehension and speed. Finally, one reason I like to read as a form of mental escape; I want to be swept up in the characters, setting, and plot and feel like I’m observing the story. This just isn’t possible with a lot of non-fiction. I do still plan to read or finish reading all of the books on my non-fiction list, I just don’t know when. As to my Bible reading, I didn’t do nearly as well as I would have liked (discipline, my child), but I did finish 1 Corinthians, 2 Corinthians, Nehemiah, and Ephesians. Probably my favorite of the new books I’ve read this Spring was Peace Like a River by Leif Enger. I wasn’t sure about it at the very beginning, but it didn’t take long for the characters and story to draw me in and keep me wanting more. 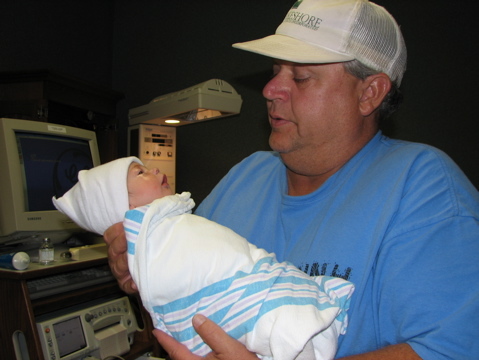 It is a touching and memorable story of family and a son’s view on a father touched by God. Mr. Enger writes in a classic literary style; his characters are deep and distinctly human. My least favorite book of the Spring had to be Divine Secrets of the YaYa Sisterhood. This was one on my master reading list that I picked up at the library a couple of weeks ago. I just couldn’t get into it, and only made it through about the first 100 pages. Not the book for me. I really enjoyed most of the reading I did the last few months. My master reading list is getting to be quite hefty (and only grew as I read the lists of other participants), so it was nice to have a smaller “goal” list from which to choose books. I’m looking forward to participating in the Fall reading challenge when the time rolls around. Thanks to Katrina for pulling the challenge together and for all of your work on the book give aways. To see the wrap-ups for other participants, click here. No, I am not bulimic; fortunately, I have never struggled with eating disorders. Eating – why yes, that is something I engage in regularly; but the purging part, well, not so much. I really hate to vomit. But I digress; on to the point of the post. Every year in late Spring or early Summer I go into purge mode. When I’m purging there is very little that is truly safe; pretty much anything that isn’t nailed down is fair game. Matt can sense purge mode coming and begins to nail things down. Things like the dishes, clothes, furniture. You know, the stuff that every sensible person cleans out once a year. I mean, do you really need to eat off of a plate? Are you really going to wear that shirt again (no matter that you wear it once a week)? The last several weeks I’ve been cleaning out. It all started when my neighbor, Lindsey, and I decided to have a yard sale. I went through the house ruthlessly searching for anything that we no longer used or needed, then I enlisted Matt’s help in the hunt. We ended up with boxes of things that we toted to Lindsey’s driveway in hopes that our trash would be someone else’s treasure. What didn’t sell went immediately to Goodwill. A couple of hundred dollars and more space in cabinets and closets were ample reward. This weekend I attacked our paperwork. “Important” papers had grown to take up a two-drawer filing cabinet and a couple of other file boxes; I could take no more. It took a good portion of two days to sort through and shred all of the papers we were holding onto that we didn’t really need. I filled four kitchen size trash bag with paper and got down to one file box containing the papers that really are important. I feel a hundred pounds lighter. So, today I am thankful for a husband who puts up with (even encourages to an extent) this quirk of mine and I am thankful for our cross-cut shredder. I’m sure the shredder is thankful for a day of rest. I am a Daddy’s girl, through and through; as a child I believed I could do anything as long as Daddy was close by. I had faith that if I slipped, he would catch me; if I was hurt, he would make it better; if I needed him, he would come running. I knew that he loved me in a big way and that nothing would change that. I believe that Little feels this way about Matt. She can’t yet verbalize it, but you can already see it in her eyes; she knows she can rely on him. She is blessed to have the best kind of Daddy – the kind that fears God and only wants the best for his baby girl. Happy father’s day and I love you to the two most important men in my life! One of the sweetest times of my day is peeking in on Little as I make my way to bed. She looks so sweet as she lies sleeping in her crib, surrounded by her blankets, hair tousled with sleep, a hand near her face. My precious baby girl, a gift sent from heaven. Last weekend, armed with your wonderful comments and advice, I set out on a quest for the Crocs. The first stop, on Friday, was Dillard’s where they offered chocolate brown and a few other varieties of color that didn’t interest me much. I was leaning toward brown after Sheryl’s comment about scuffing as I tend to be hard on shoes, so the lack of choices really wasn’t an issue. Trying on a brown pair, I determined pretty quickly that this was not the color for me. I’m not sure exactly what the problem was, whether it was the color itself or the material the shoes are made from, but the brown just wasn’t cutting it. On Saturday, I made the next venture into Croc hunting. Dragging along Matt, Little, and my parents, we visited the outdoors store that is about 15 to 20 minutes from our house. I was hoping for a broader selection of said shoes, and was not disappointed. They did not, however, have the celery or lavender Mary Janes. I tried on a few more pairs (in various colors) for the benefit of my audience before deciding that this wasn’t the footwear bandwagon for me. I did, however, find these little cuties by Teva, and they were more than happy to come home with me. These are the shoes I can most often be seen wearing these days. 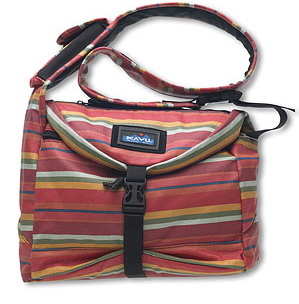 Also at the outdoor store I came across this day pack, which I refer to as The Cutest Bag Ever. Unfortunately, I have to wait until I find something to wear to the wedding before I can welcome the bag into my home. I’m pretty sure the wait will be worth it. You are currently browsing the Sidetrack'd weblog archives for June 2007.